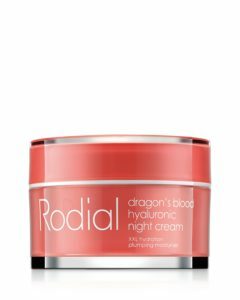 Snake Serum and Dragon’s Blood – not names you’d first associate with a high-end skincare range. When Maria Hatzistefanis decided after several years in business to give her beauty products more eye-catching names she knew it might be risky. It worked, though. Not only did the names create a talking point, they led to the products flying off the shelves. Hatzistefanis, 47, says a key ingredient used in her products, syn-ake peptide, replicates the reaction to a snake bite, resulting in a mild freeze-like effect in facial muscles. “One day, I brainstormed with my team and, as one of the ingredients mimicked the effect of snake venom I said, ‘let’s go crazy and see what happens’. Click through to this article at the BBC News to read more about Hatzistefanis’ company, Rodial, and how it’s become so successful.